Dr. Laurent Couëtil is a professor of large animal medicine and the director of both the equine research programs and equine sports medicine center at Purdue University College of Veterinary Medicine. Dr. Couëtil’s research interests lie in exercise physiology, equine respiratory diseases, and pre- clinical animal models of human respiratory diseases such as asthma and emphysema. 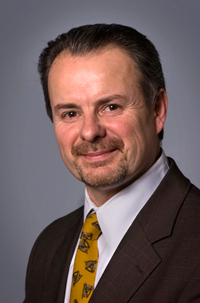 Dr. Couëtil serves on the scientific advisory boards of several pharmaceutical and biotech companies and is a consultant in the area of translational research in respiratory medicine. Prior to entering academia, Dr. Couëtil spent six years as a clinician in one of the largest equine practices in Chantilly, France. Laura Murray is a Registered Veterinary Technician and Laboratory Animal Technologist. She earned her Bachelors of Science in Veterinary Technology from Purdue in 2008. After this she spent several years at the University of Florida as a Veterinary Technician and Training Coordinator in their biomedical research program. While she has experience with a wide range of species from mice to monkeys, it was her love of horses that eventually brought her back home to Purdue. Dr. Kathleen Ivester earned her DVM from the University of Missouri-Columbia and completed a large animal surgery residency at Purdue University. She earned her PhD under the mentorship of Dr. Couëtil and is continuing her research into Inflammatory Airway Disease in Thoroughbred racehorses. She enjoys the opportunity that her work gives her to work closely with Indiana horsemen to improve the health and well being of their equine athletes. 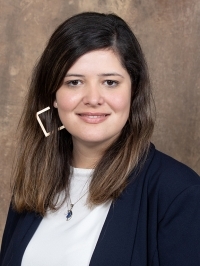 Dr. Carla Olave is the PhD student working in the lab. She earned her DVM degree from the Universidad Austral of Chile. She developed an interest in studying equine asthma while pursuing her master degree at the same university. This is what brought her to Purdue to study with Dr. Couëtil. Francois Bertin, DVM, MS, PhD, Dipl. ACVIM (LAIM), is currently at the Thrombosis Research Unit, McGill University, Canada. Marybeth Feutz, DVM, PhD, is currently IVMA Director representing District VIII, Public Relations Coordinator for Gibson County Farm Bureau, Inc., Large Animal Internal Medicine Consultant at Princeton Veterinary Hospital, and owner and content creator for AgriCultured and Alarm Clock Wars. Kristina Goncarovs, DVM, MS, Dipl. ACVIM (LAIM), is currently in private practice. 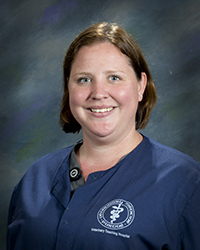 Jordan Hammer, DVM, MS, is currently in private practice at South Valley Large Animal Clinic, UT. Kathleen Ivester, DVM, PhD, Dip. ACVS, is currently a post-doctoral research assistant in Dr. Couetil’s laboratory. 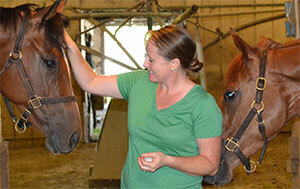 Nora Nogradi, DVM, MS, is currently staff veterinarian at Dubai Equine Hospital.